Fourth largest mobile company in Nigeria, Etisalat, has a new chairman on board. The firm, whose former chairman Hakeem Bello-Osagie resigned last week due to its debt crisis, announced the new management in a statement hy its spokesperson. The new chairman has been revealed as Joseph Nnanna, while the other new board members are Oluseyi Bickersteth, Ken Igbokwe, Boye Olusanya and Funke Ighodaro. 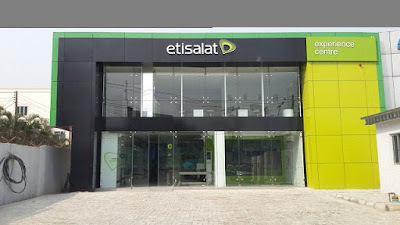 Etisalat Nigeria today confirms that as a result of the on-going restructuring efforts, a new board has been constituted. It comprises of Dr. Joseph Nnanna – Chairman, Mr. Oluseyi Bickersteth, Mr Ken Igbokwe, Mr. Boye Olusanya and Mrs Funke Ighodaro. The Consortium of Lenders, working with the regulators NCC and the Central Bank of Nigeria are committed to the on-going efforts to restructure the company towards a path of long term success of the business and the appointment of a seasoned board of directors and top management is a testament to this. The decisions reached so far reflect the high confidence all the stakeholders have in the continued viability and sustainability of the business. The smooth transition is also proof of management’s commitment to ensure that the operations of the company run seamlessly, and customers continue to enjoy superior network quality and positive customer experience. Etisalat Nigeria remains committed to continuously serving our subscribers, through the provision of innovative products and services with its committed staff, partners and vendors to empower the needs of our customers and improve their experience on the network. We thank all our customers for your loyalty, understanding and continued patronage.